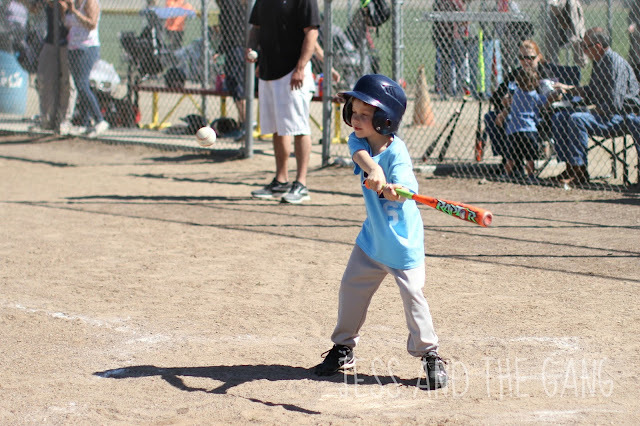 Tball season is in full swing over here. Connor is loving it. And another year older for him is proving him to have more focus on the game. It's weird that we are at that point in parenthood that we have to start figuring out how to not let extra curricular activities dictate our lives. It's easy to say "each kid gets one", but then you think about how they also need swim lessons. And they show interest in other things. And blah, blah, blah. We have gotten to this point. The point where your kid is a part of something they are proud of, and for that, you are proud. But, it is also a bit stressful. Because between driving across town for the games, arriving early to practice, then the game itself…not to mention getting home right at bedtime and doing all this with an almost four month old…it can feel like a bit much at times. Really, it just feels like I am always failing someone. The weather turned cold on us yesterday and I showed up at the game with everyone dressed in summer attire. 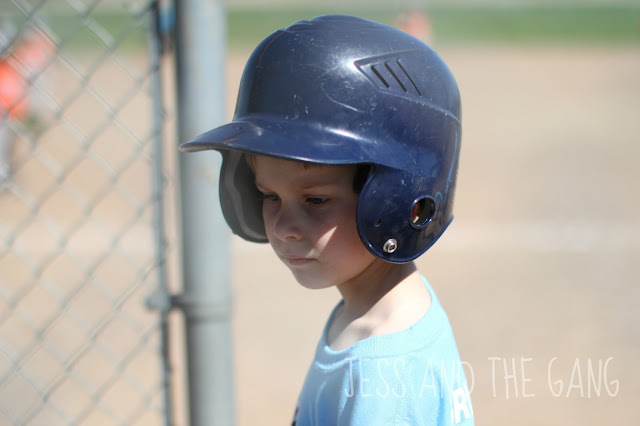 That, combined with the game lasting plenty past Callum's bedtime, led to me sitting in the car, nursing Callum, while keeping him warm….watching Isla play with other kids in the grass…and jumping out of the car whenever it was Connor's turn to bat. It all just felt a bit like a juggling parent fail. 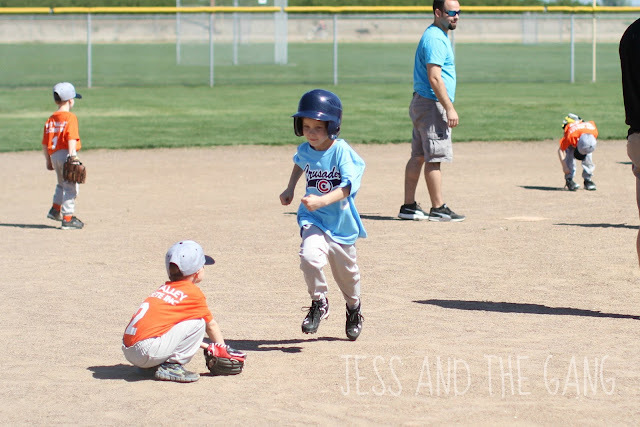 I know next year will be a bit easier…instead of a grumpy infant, I will have an I-want-to-be-independent one year old on my hands that will hopefully be happy playing in the dirt piles, like his big sister. It's hard because I know at times I need to give myself a break and realize I can't do it all. 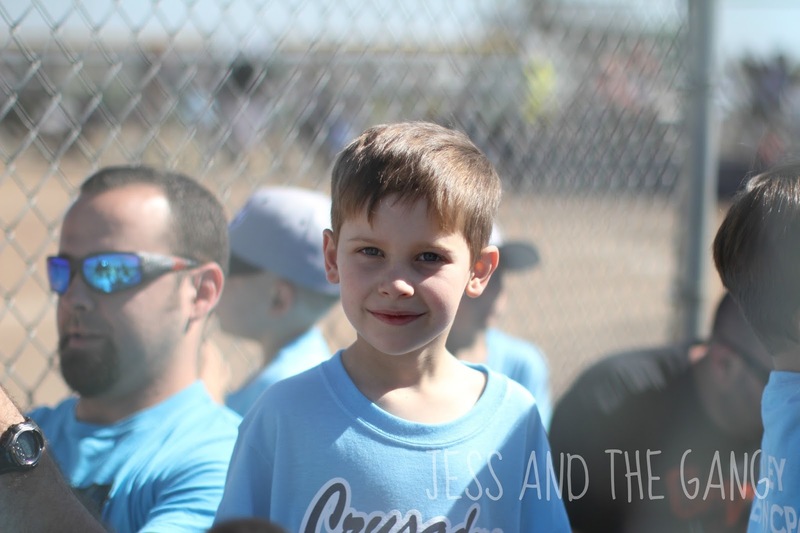 Yet, on the flip side, I don't want to let my kids down and for Connor to some day be lamenting in counseling about how his mom sat in the car during his tball games. But then again, this is only the beginning of this phase of life and I need to find something that works for our family. So, you know, we all survive the next 15+ years of life.